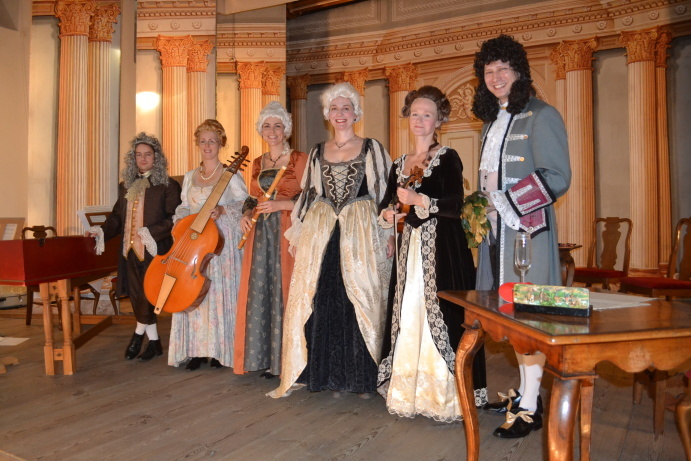 The Baroque chamber ensemble Musica Poetica, established in 1999, is a group of young professional musicians sharing an interest in authentic performance of early music. The name ‘Musica Poetica’ reflects its regular arrangement of concerts as encounters between Baroque music and poetry. In addition to concerts in Czech Republic as well as abroad, the ensemble does not shy away from less conventional projects (such as the ‘Vespillo’s Baroque Cabaret’, ‘Händel in Italy’ or ‘Pygmalion’). As constituent parts of its long-term cycle ‘Baroque of European Countries’, Musica Poetica has so far presented music and poetry of eight European nations. Its lasting goal is to offer its audiences a glimpse of the atmosphere and thinking familiar to people of the Baroque period, from which one can still draw inspiration today. Jana Janků has degrees from the Academy of Early Music and from the College of Arts, Masaryk University in Brno (in Musicology). She has been regular member of the opera ensemble of both the National Theater in Prague and the National Theater in Brno. Ms. Janků is a founding member of the ensemble Musica Poetica (as well as its Director of Program) and frequently appears with various other Czech ensembles devoted to early music, as well as with the Opera Diversa, an ensemble pursuing contemporary music.